Milwaukee PC - The People Behind The Product Since 1989. Established in southeastern Wisconsin in 1988, Milwaukee PC, Inc. (MPC) has over 150 employees, and sales and service branches located throughout the state of Wisconsin. About 40% of MPC's sales volume comes from system sales. The other 60% comes from service, software, parts, and networks. About 60% of MPC's business comes from home users, and the other 40% comes from businesses and schools. The great strength of MPC lies in the convenience of our many strategically placed locations throughout Wisconsin. MPC has a sales and service branch within close proximity to nearly all of our regional customers. The numerous locations also allow our customers to see what they are getting before they buy it, and talk face-to-face with people that can recommend the right product. 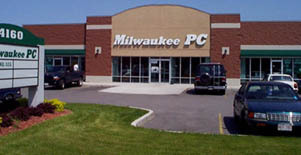 Milwaukee PC (MPC) was founded by James M. Petr, the current company President. The company was founded in Petr's basement while he was an instructor at Marquette University. Petr found that he could save the University money by building computers himself, rather than purchasing them through an outside vendor. Marquette took Petr up on this idea. A few years later Petr left Marquette to try to better establish Milwaukee PC as a more formidable player in the southeastern Wisconsin computer market. much more right here in Wisconsin. 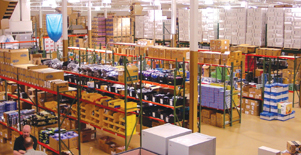 What makes Milwaukee PC unique is that it has grown while maintaining a philosophy of providing outstanding customer service, alongside aggressively competitive pricing. MPC has been able to compete in the Wisconsin market amongst national retailers like Best Buy and CompUSA, large mail-order direct companies like Dell and Gateway, and a myriad of smaller tier one and private label system integrators all over the country. Unlike these companies Milwaukee PC builds their own line of PCs and sells directly to the end-user through its own chain of retail branches.